The holiday-home Casa Pezzei is beautiful, with a modern interior and in a calm environment. The house is divided into two parts. One part is occupied by the owner, the other is for guests. You have a private entrance on the first floor. 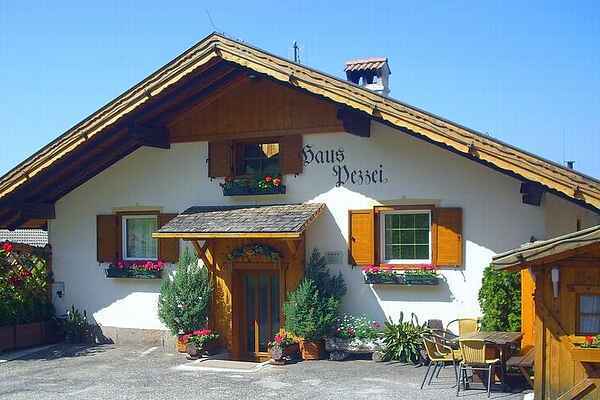 From the house you can enjoy the breathtaking view over the entire "Eisacktal" and the town Brixen, within 10 minutes by car. During summer you can enjoy the great hiking possibilities with impressing mountain panoramas, away from the daily pressure. The house is even an ideal starting point for mountain bikers. In short, a region which has something to offer for each season.